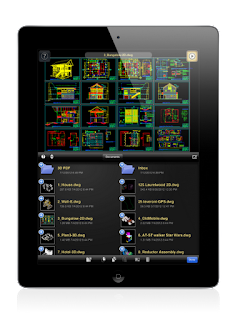 IMSI Design has had a natural progression with their mobile applications. They started with a series of viewers and followed up with a markup app. Now IMSI/Design is taking things to the next level. 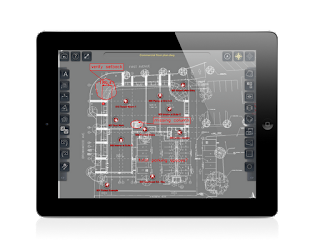 TurboSite is IMSI/Design’s approach to taking full advantage of the mobility and tools built inside tablets, like Apple’s iPad. They are using the hardware built within; cameras, microphones, accelerometers, GPS, Wi-Fi, and long battery life. They are using these tools to create a software platform that can ultimately save time and effort during field visits. I spoke with representatives from IMSI/Design about TurboSite. He said that what they wanted to create was a tool that would make site visits, as-builts, notations, documentation, field verifications, construction updates, and any reason you can think of that requires going to the job site and documenting what’s there. TurboSite is meant to do that and only tablets have the hardware to do it simply and in one package. TurboSite is not a design platform. It isn't CAD. You can’t draw with it but it can read drawings and document them from the field. Yes, IMSI/Design has TurboReview, a “red lining” app where users can markup drawing files. TurboSite is much more than that. TurboSite has three main tools that make it stand out from other mobile CAD file reading apps; positioning, documentation, and reports. 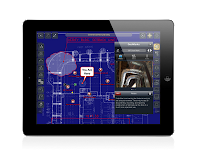 Other mobile CAD apps depend on GPS or internet data connections to geolocate your position. That’s great, but your CAD file must also be pre-located. TurboSite doesn't require either one. 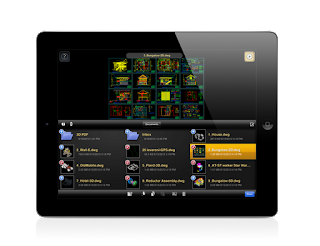 Its positioning tools allow you to calibrate your location with the file itself using the hardware built into the tablet. Other mobile CAD apps have abilities to document files while in the field, but TurboSite has many tools. It can take pictures, video, audio and text. This information can be shared and viewed with TurboSite Reader, which is a free app and also available now. 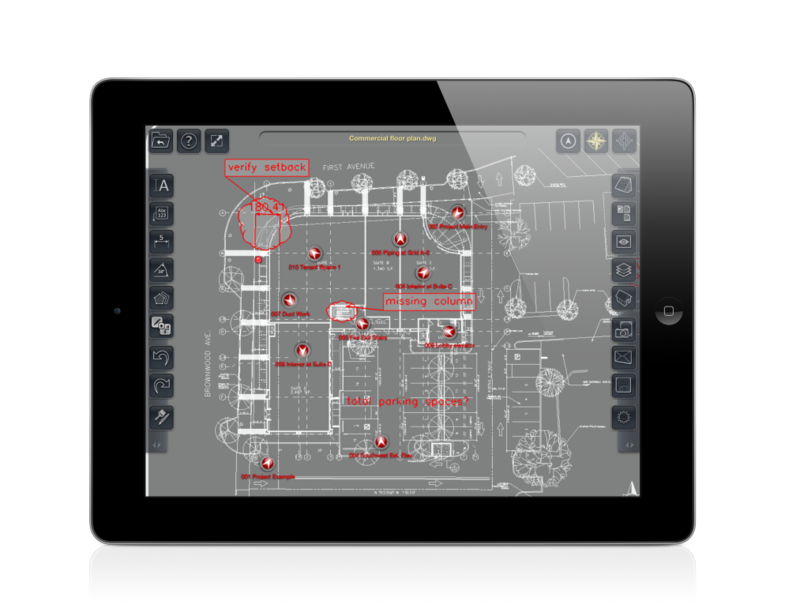 Once a construction site has been visited, calibrated, and documented, TurboSite keeps going. TurboSite files can be shared immediately and be viewed with the TurboSite Reader. TurboSite can produce a TAP (TurboApps) file that is viewed in TurboSite Reader. 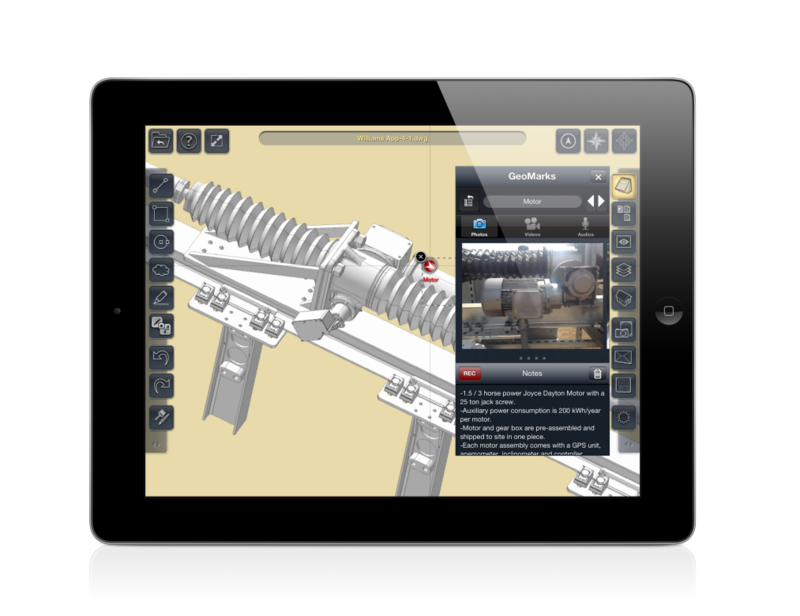 It can also share DWG, DXF, DWF, PDF, and 3D PDF (U3D) files. The goal of TurboSite, according to IMSI/Design, is to stream line field inspections, or field gathering sessions. According to IMSI/Design’s website, they feel that they can reduce the cost of field inspections by 80%! That’s a lofty goal but one that would be fantastic if achieved. In speaking with IMSI/Design, they feel that the 80% reduction in cost can be achieved by speeding up the field inspection process. The inspection is made and documented with the tablet hardware. Notes, images, video, and audio recordings are made in the field and are report ready instantly. Gone are the days of taking your camera and notepad back to the office to write up the report. Well, not completely of course but gone are the days of having to note when and where you took that picture. I can see great value in this. I've been on many field visits in my time and I can recall needing two to three people on a visit. One takes notes, one takes pictures, and one takes measurements. It’s much easier to do with multiple people. The process (likely) involved keeping track of the picture file number/name and recording it in the notes. Writing down if you were facing north or south. Noting on a set of drawings where you were at the time. 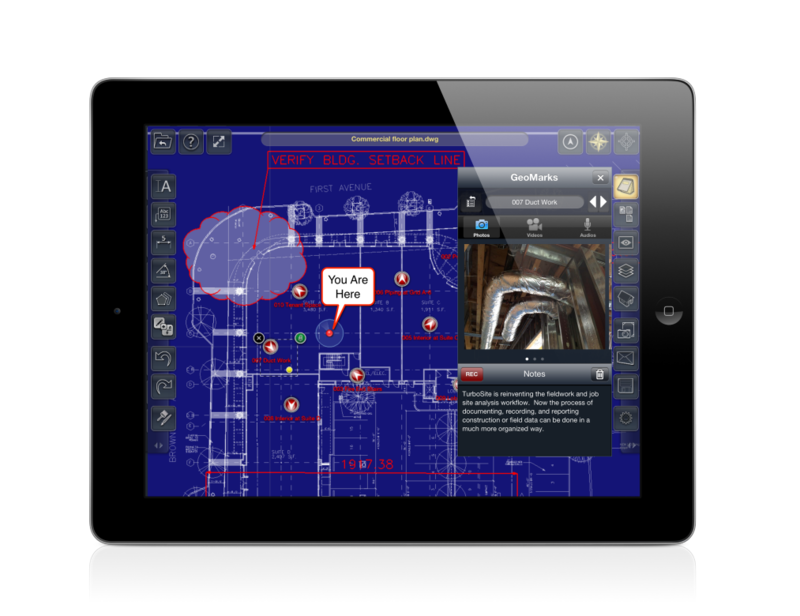 With TurboSite (in theory) one person goes to the site with a tablet, geolocates their positions (all by himself/herself), takes pictures, types in notes, records audio notes (a big time saver) and TurboSite notes things like direction, location, place on the drawing, and more. When you go back to the office the information is organized for you. You do not have to take the time to make sure you have the right picture in the right location facing the right direction. IMSI/Design is trying to carve out a niche in the mobile app market for CAD design and review software. 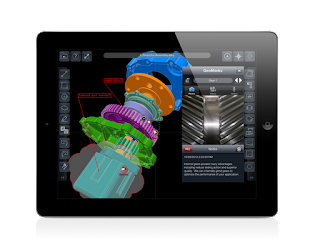 They aren’t trying to make CAD fit into mobile, rather, they are trying to make software that mobile devices can actually do, and that’s good. 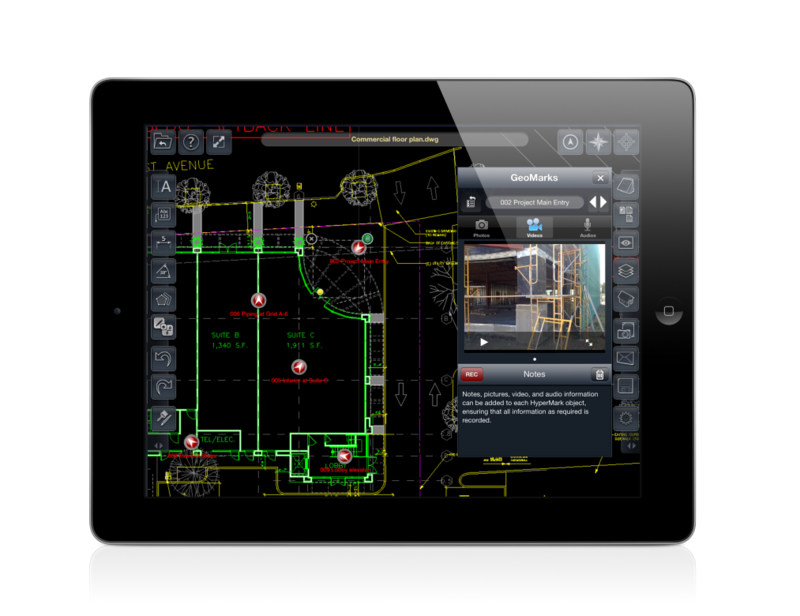 "While we're announcing a ground-breaking field and site survey app called TurboSite today, what we're really launching is a whole new class of software solutions -- mobile AEC -- that simply can't be done on desktops or laptops," stated Royal Farros, CEO of IMSI/Design. Doug Cochran, CTO of IMSI/Design and an architect of record for the Venetian Hotel in Las Vegas said, "Hardware in the mobile space is only a fraction as powerful as your average desktop machine. Does somebody really want to design the Freedom Tower Building with a tiny bit of RAM and a 3 inch screen? It's just not practical." Cochran continued, "On the other hand, mobile hardware has some terrific advantages over desktops. Easy gesture interfaces. All day battery life. Accelerometers. Gyros. GPS. Digital cameras. Effortless portability and connectivity. The trick is to create brand new solutions based on those attributes... to essentially create a whole new class of AEC software solutions." IMSI/Design has big plans for their mobile platforms. They want to create a development platform where others can build on top of what they have. To do this they have produced and plan to actively update its TurboApps™ SDK. 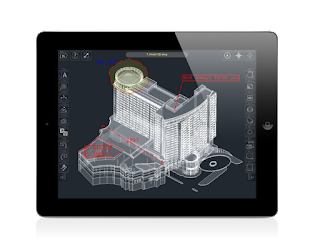 "Our big-picture goal is to enable an entirely new generation of mobile AEC developers," added Farros. With all of the great tools that TurboSite gives, it comes at a price. The “regular” price is set at the iTunes maximum (according to my understanding) of $999 (USD). WOW! That’s steep right? Well, right now TurboSite is being sold at an introductory price of $499 (USD). Half off!! Before you automatically dismiss this app (as I did until I actually thought about it and discussed it with IMSI/Design) think about what it can do for professionals. You need a camera. You need a mobile computer. You need a video camera (sure, the video and stills can be done with the same camera) you need multiple employees to visit the field. You need a GPS device to locate the site. You need hours after the site visit to document the field information. 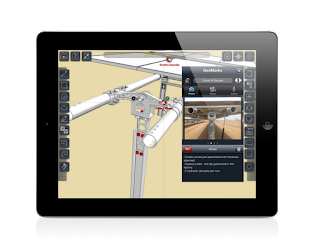 With TurboSite you need an iPad (tablet) and TurboSite, and one employee. The field visit alone will be a better experience because you will have all of the drawings on the tablet. You won’t have to carry a laptop, prints, camera, and a notepad. Carry only the tablet. Ok, forget the laptop. But then you really have to spend time documenting. Time is money, and that’s where IMSI/Design is going with this. They feel that their software will simplify your process so much that you will save 80% in costs with one visit. IMSI/Design produces the CAD software TurboCAD and it sells for around $1200. TurboSite costs $999. But TurboCAD can’t integrate with the camera in a tablet, laptop, or any device. Autodesk has a free app called AutoCAD WS. I like the app. I really like the cost. But your files reside in the cloud and that’s a big issue for many people. What happens if your tablet can’t connect to the internet? You can’t access your file to document it in the field. 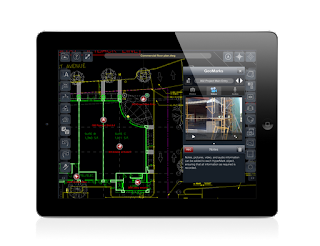 AutoCAD WS does have the ability to embed photos into your files as well as notes. But it can’t do “red line” mark ups. You can annotate things yes, but they are annotations not redlines. TurboSite also has video markups as well as audio. In theory you don’t even have to type up notes, just verbalize what you see on site and TurboSite has recorded the information and marked your location. I haven’t used the software yet, but IMSI/Design is providing me with a copy to try it out. I plan on it. I have worked as an inspector, done survey work, gathered as-built data on civil and mechanical sites. I understand the potential of a tool like this. The cost is high at $999, but right now the cost is half that at $499. How long will it take your engineer or inspector to run up a bill based on time that is $499? Half of a day. How long does it take to create a report? I think the cost is ok. Plus, it’s a one-time fee. 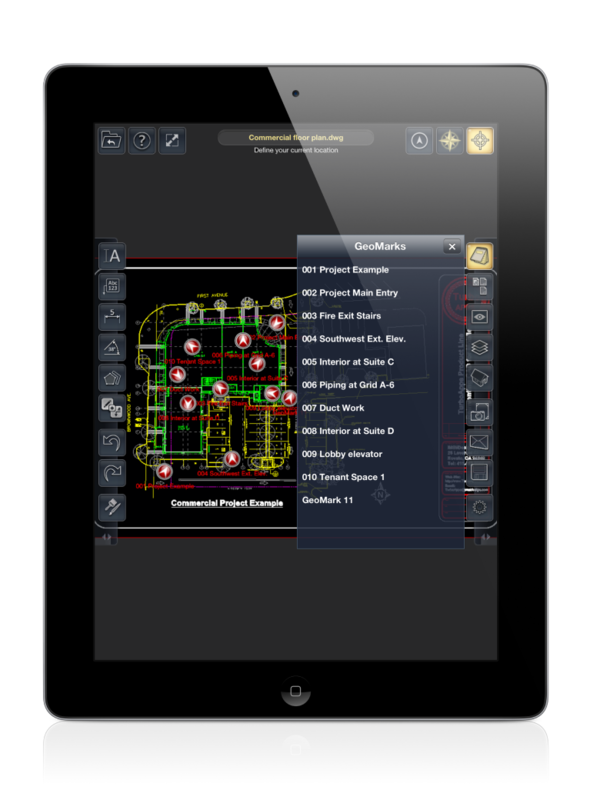 This is an app, not a full blown CAD program. When the app is updated with new functionality you get those new tools at no extra cost. IMSI/Design told me that they have some great new features that they are going to add in the near future. (Trust me, they are!!) Once added they will also help justify the cost. IMSI/Design also said that they don’t know how long the introductory price will last. My point to saying that is that it could be a very long time before the app goes full price. I speculate that it may never go up if it sells well enough. Now some of you may not have iPad’s. I understand that. Do you have an Android tablet? Or were you looking at the new Windows 8 tablets that are coming out now? Well, IMSI/Design said that they are working on Android and Windows 8 based versions of TurboSite. No indication of when, only that they are working on it. IMSI/Design is getting me a copy of TurboSite to try out. I will see what it can do and give you a full report. I know it seems highly priced, but how much did you pay for your CAD software? Was it worth it? TurboSite and TurboSite Reader may be worth it too. In the meantime, here are some links where you can read more about TurboSite.